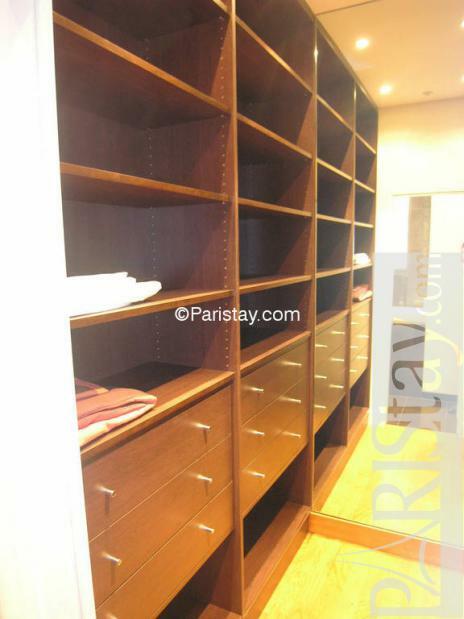 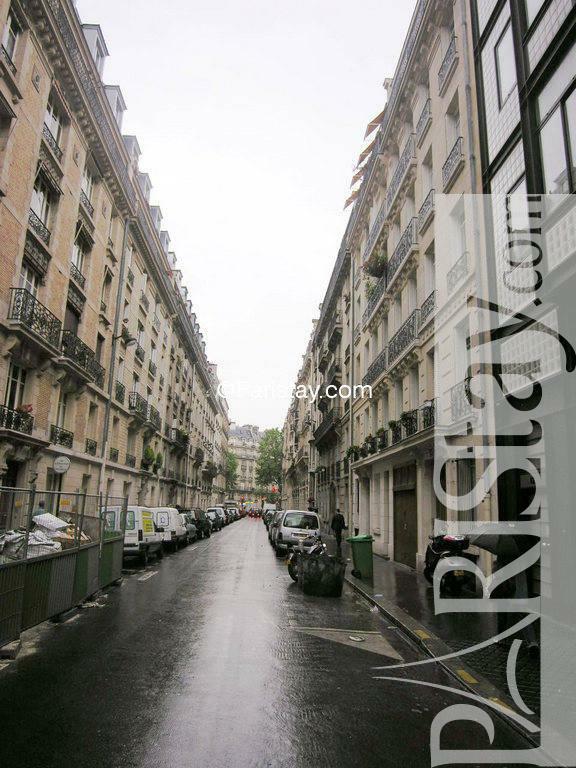 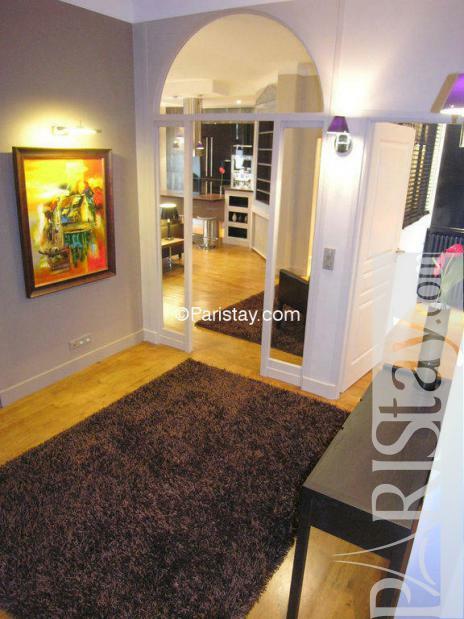 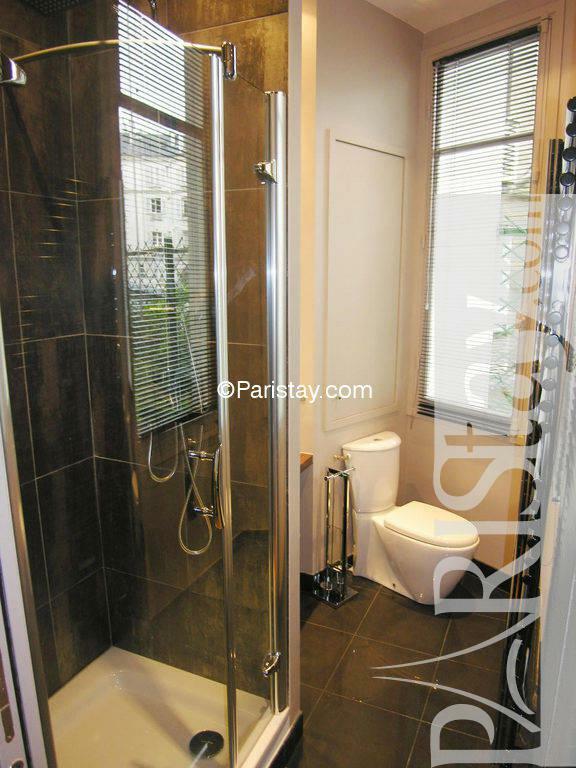 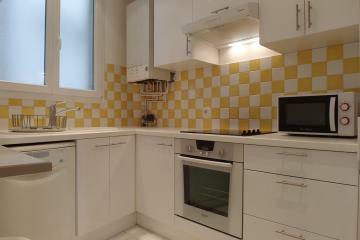 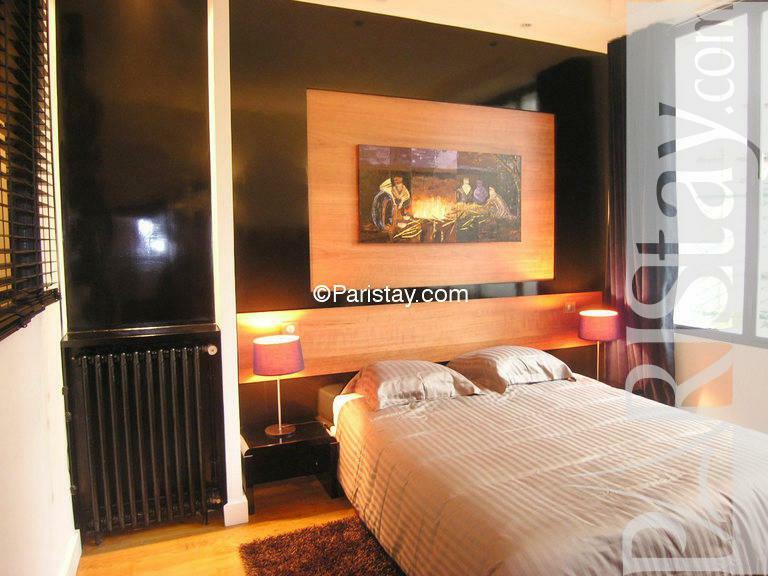 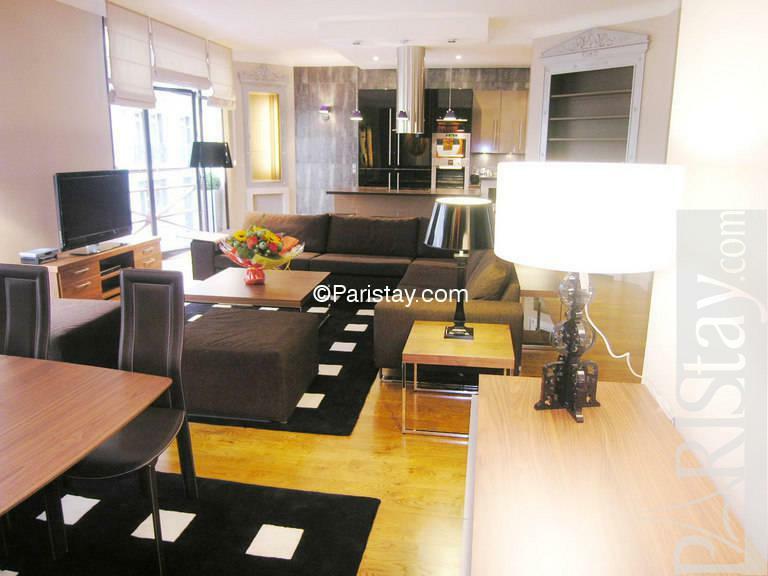 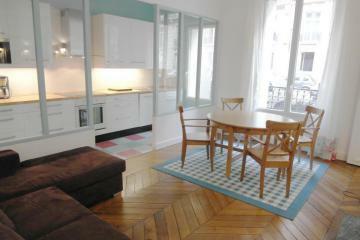 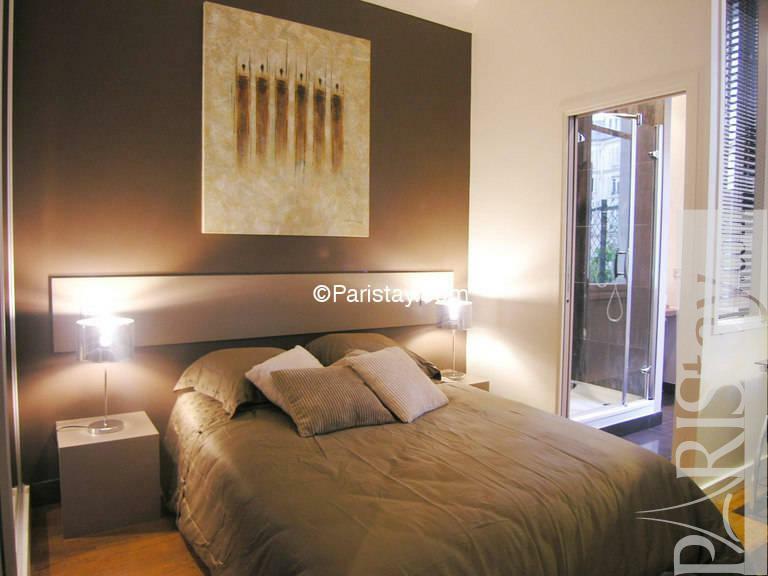 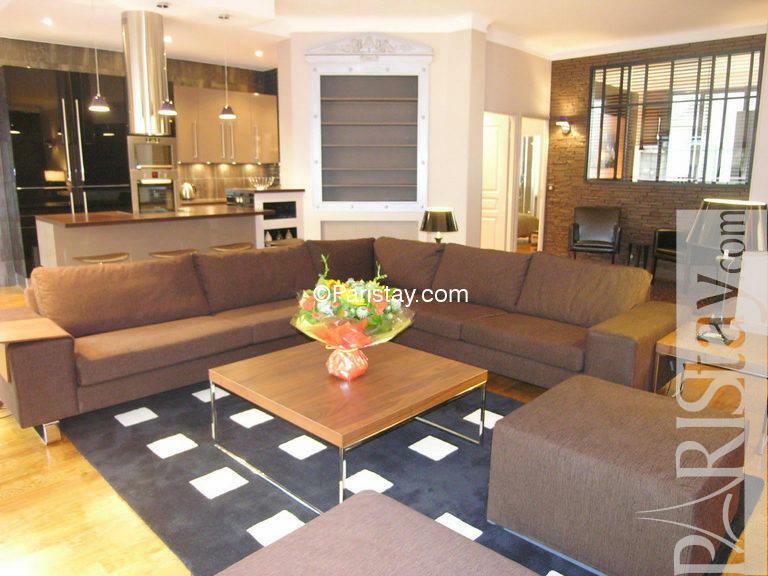 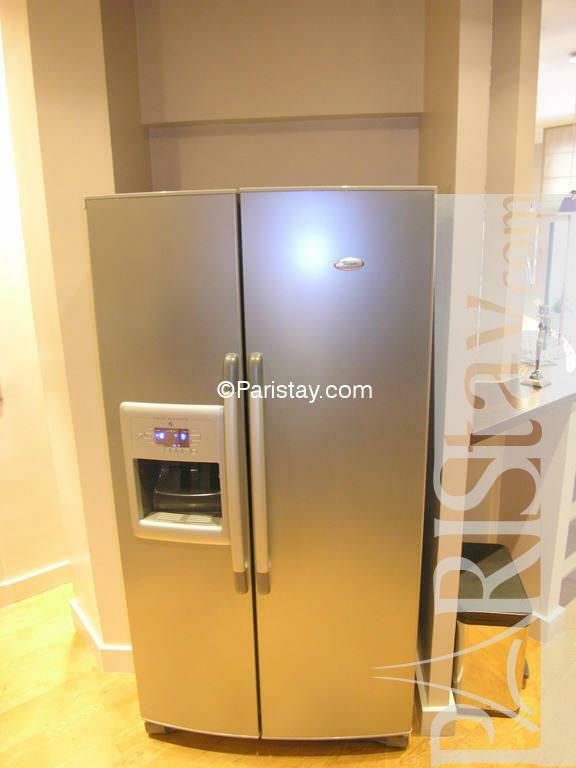 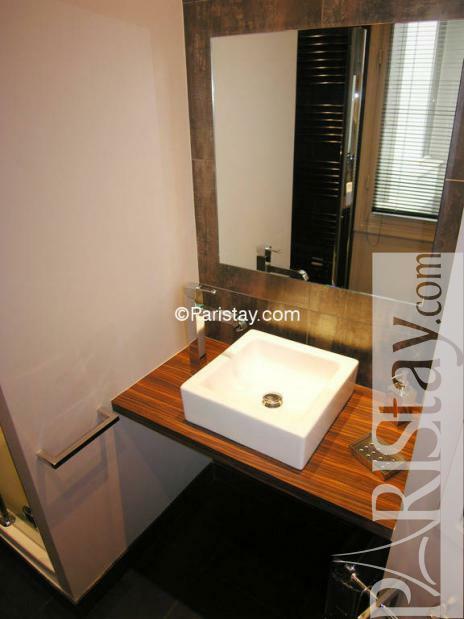 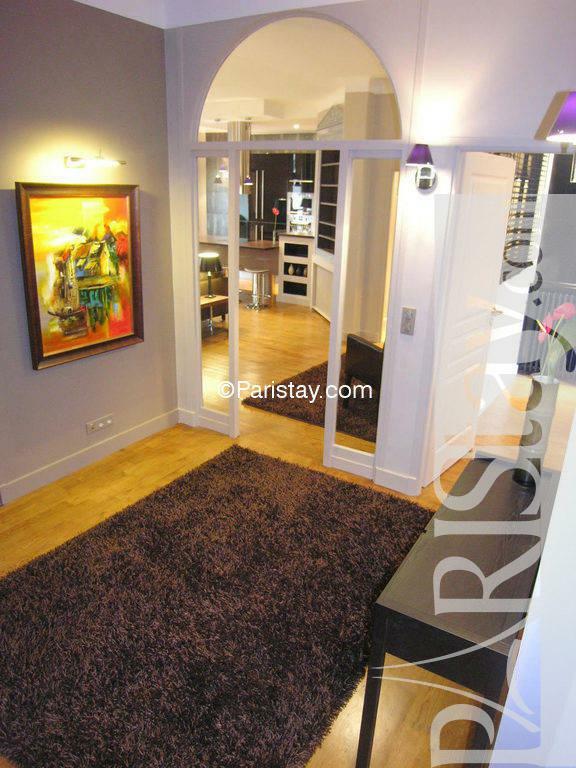 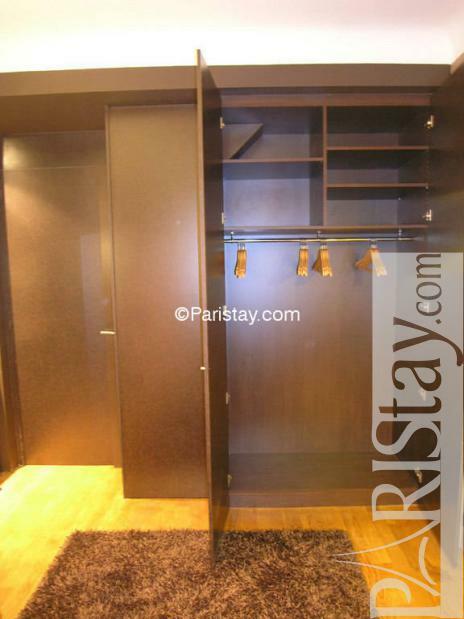 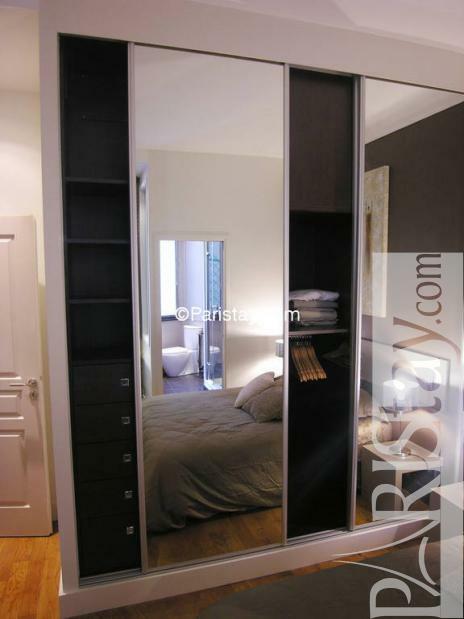 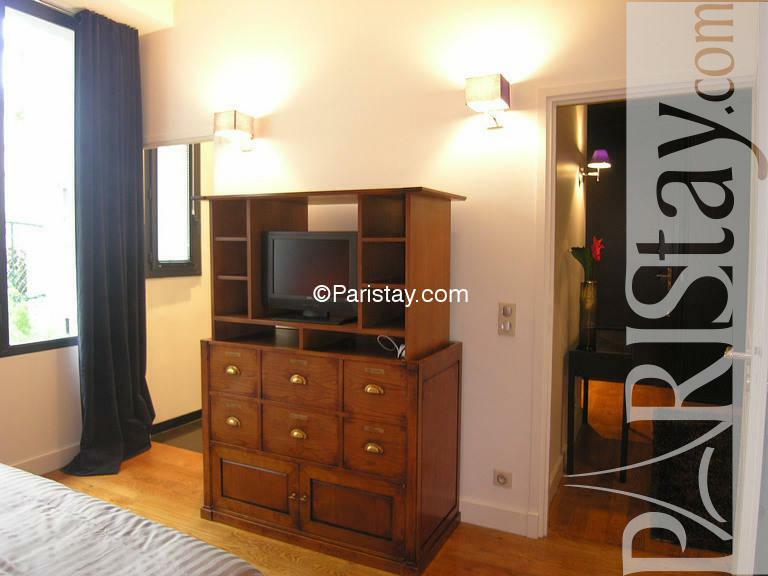 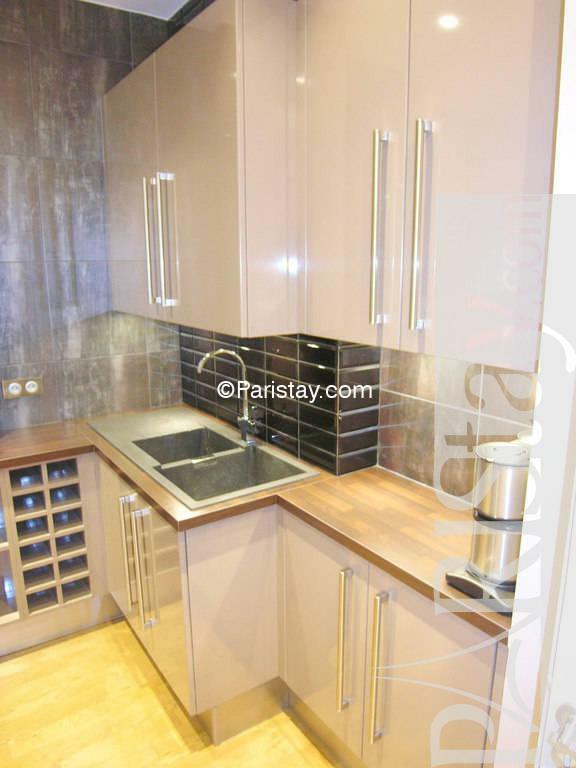 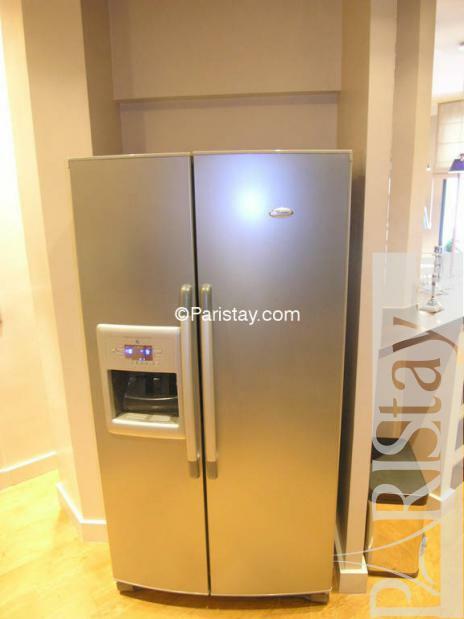 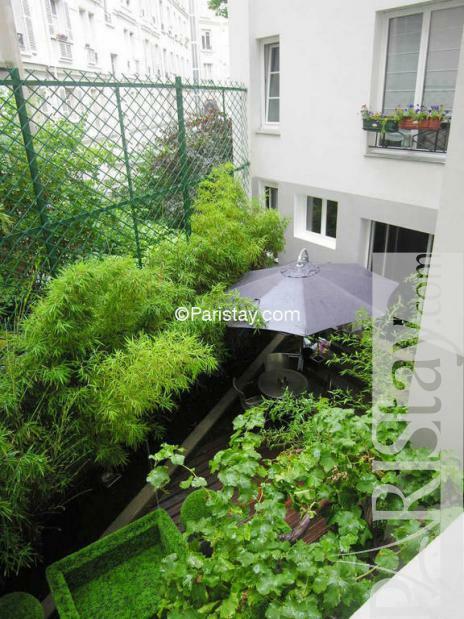 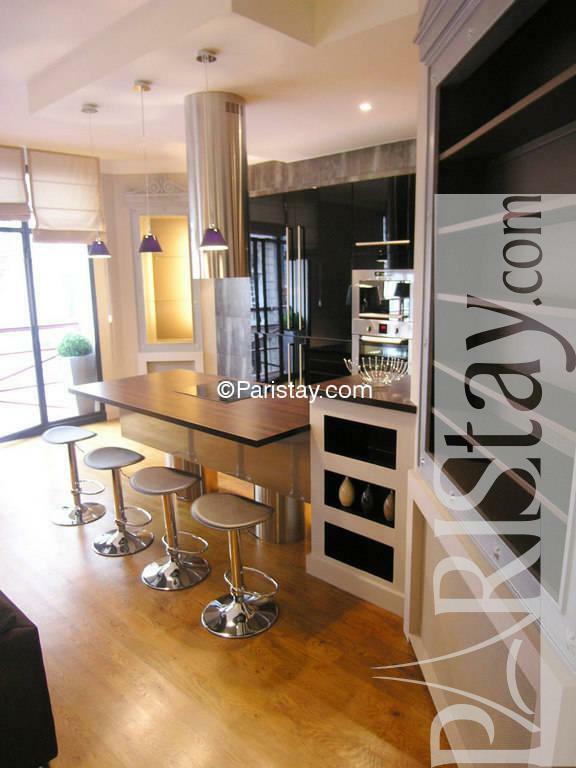 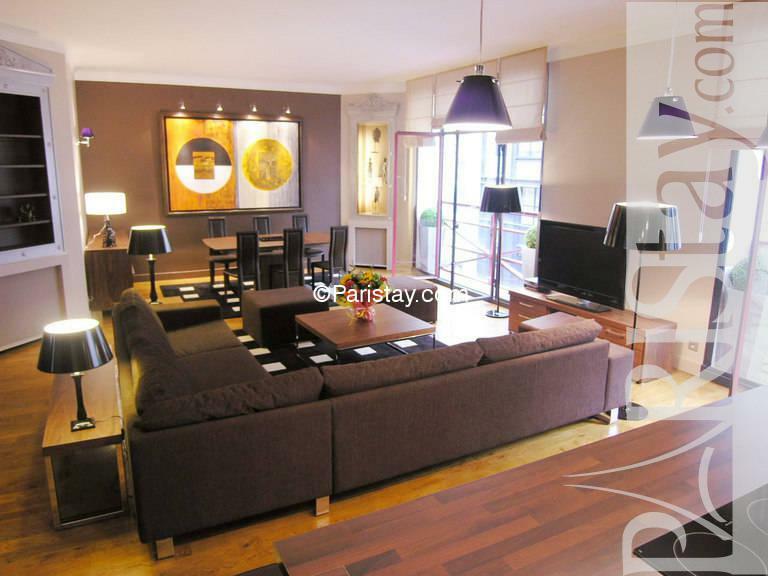 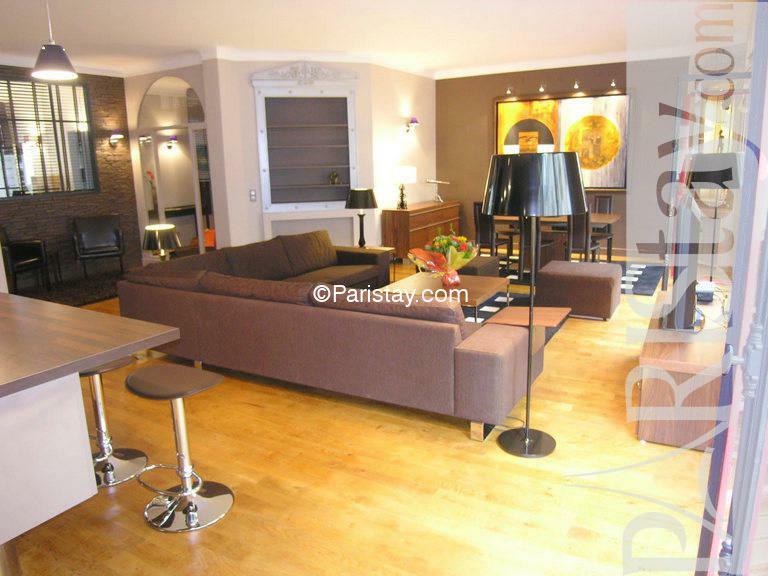 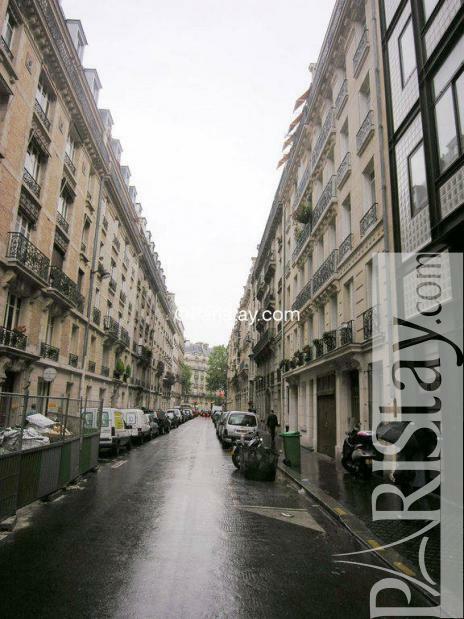 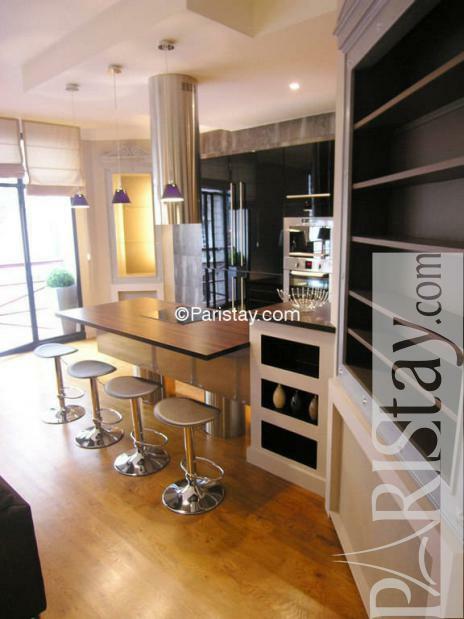 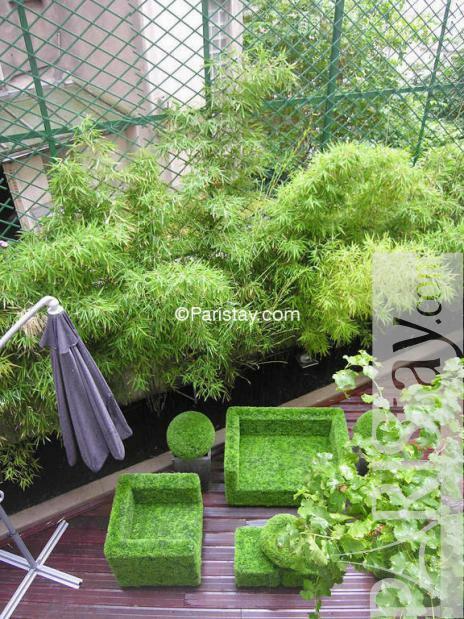 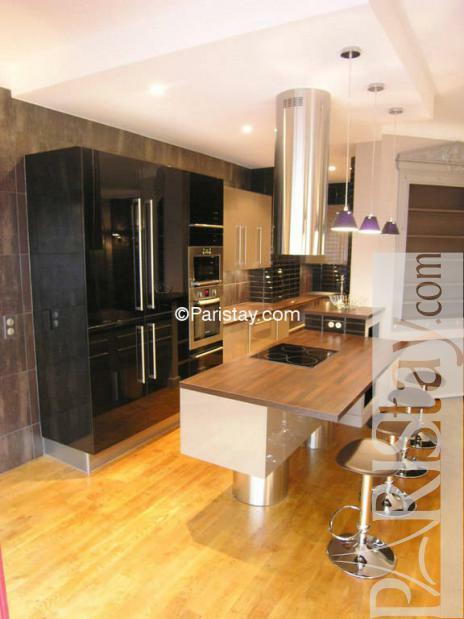 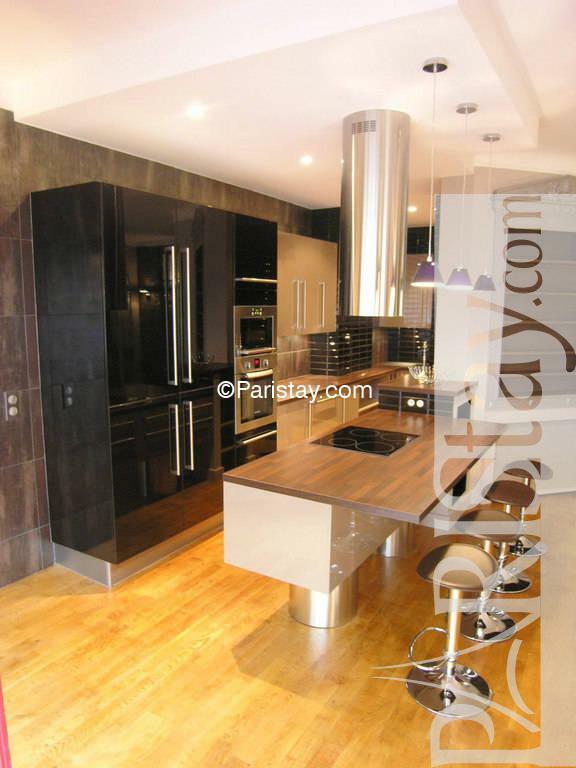 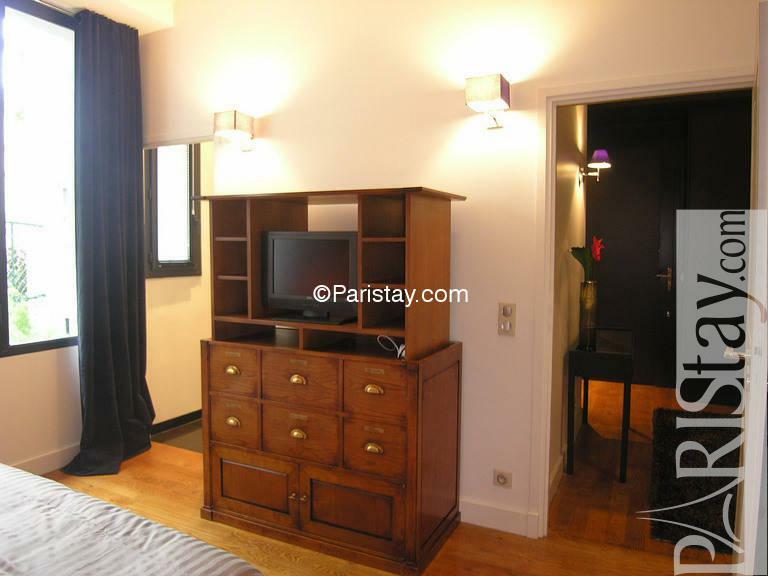 Luxury Paris 2 bedroom apartment in Wagram area, in the heart of the 17th arrondissement full of high quality restaurants and food stores. 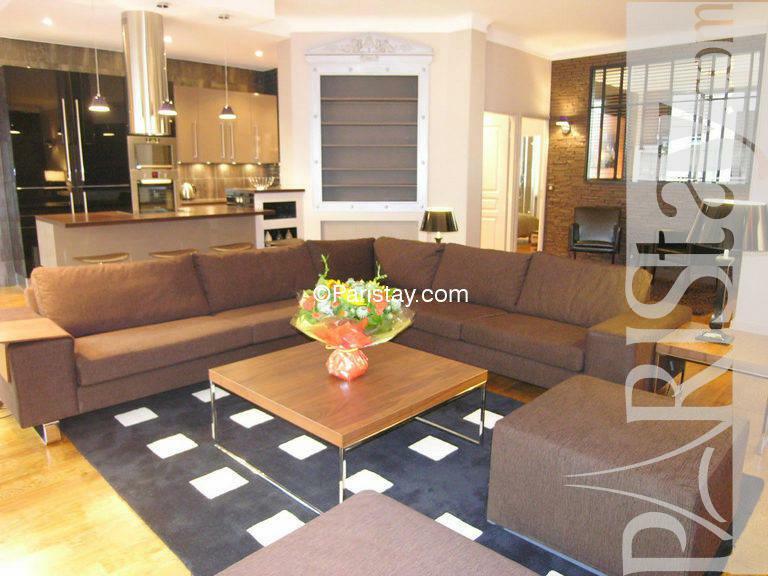 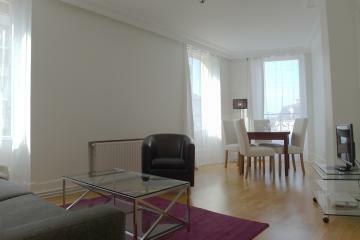 Spacious living room with beautiful hardwood floors and comfortable sofas. 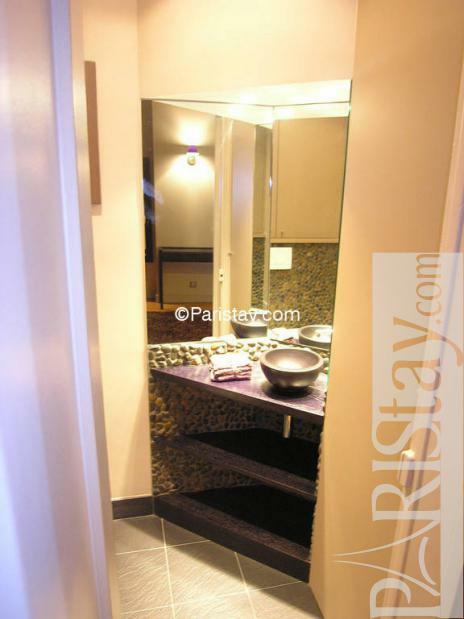 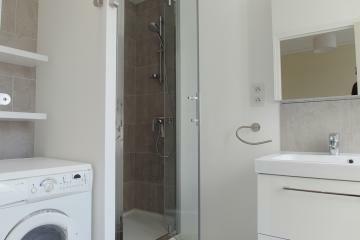 The large and luxury main bathroom has a hammam (steam bath). 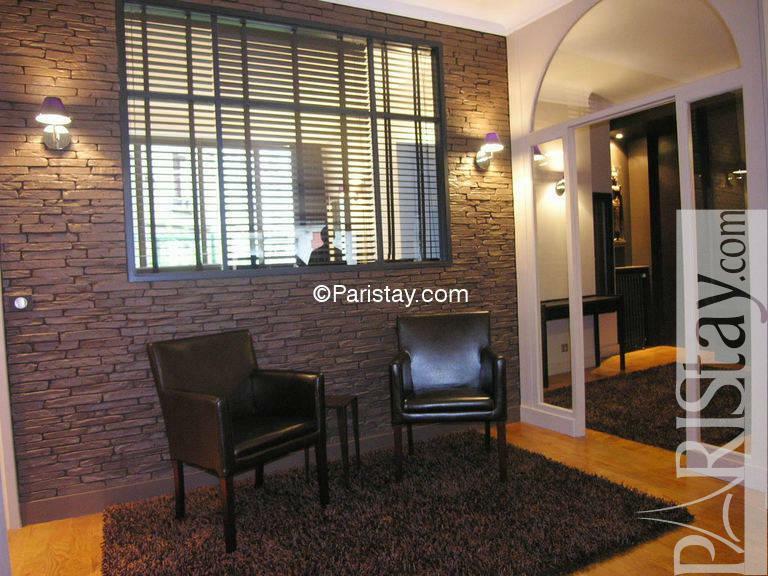 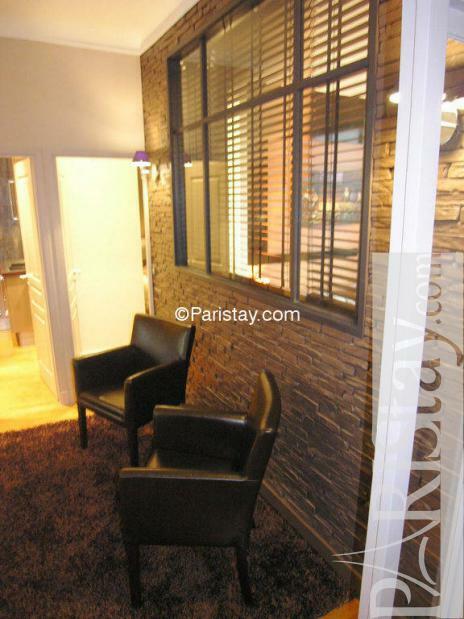 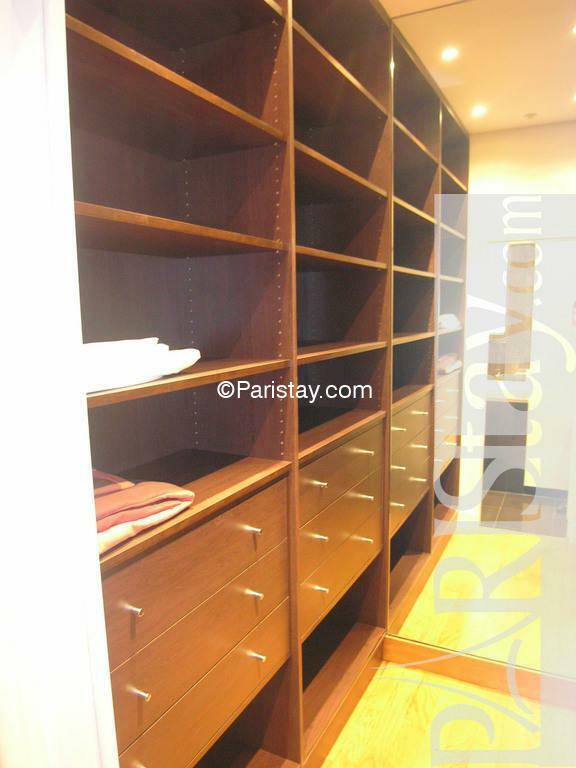 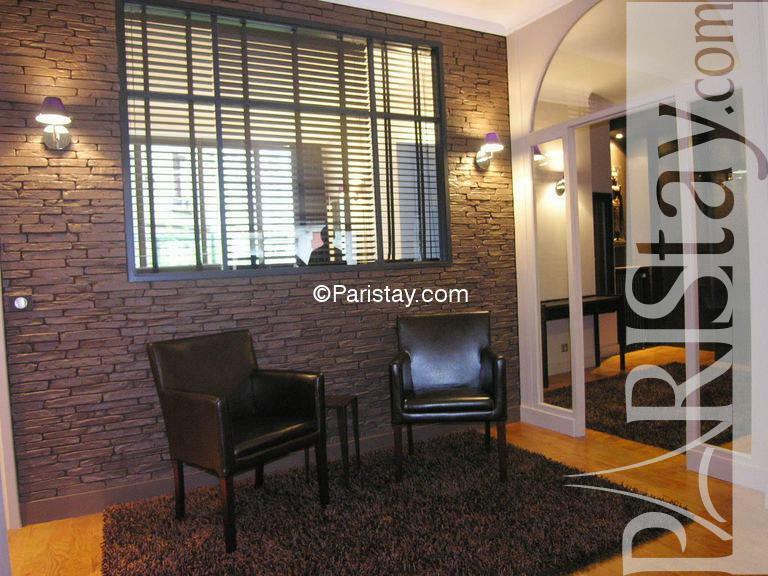 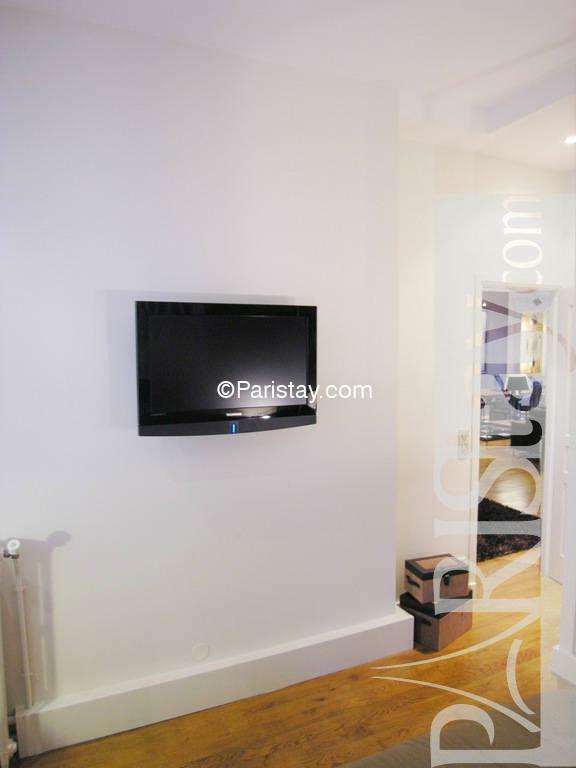 This is one of our best corporate apartments in Paris, just a few feet from the amazing rue Levis and its vast selection of fresh produces, patisseries and wine. 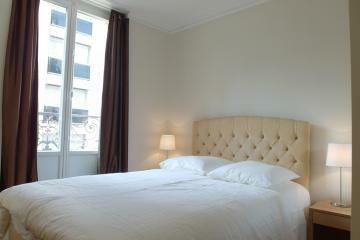 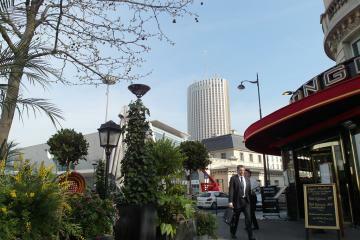 It's also a short nice walk to the beautiful Parc Monceau and the Champs Elysees Avenue. 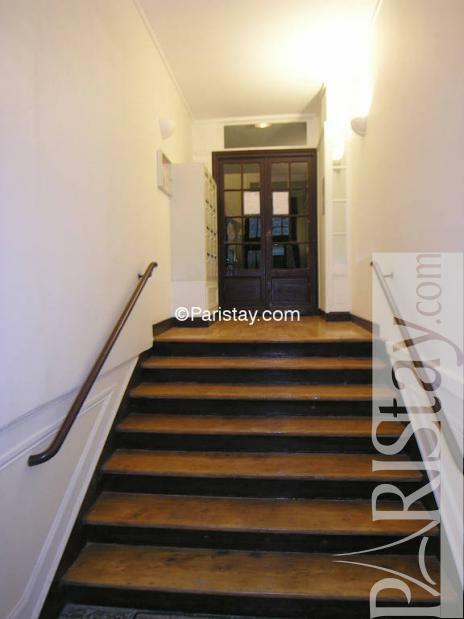 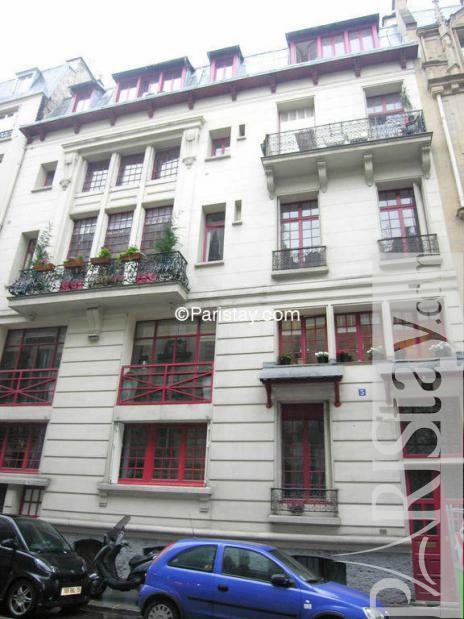 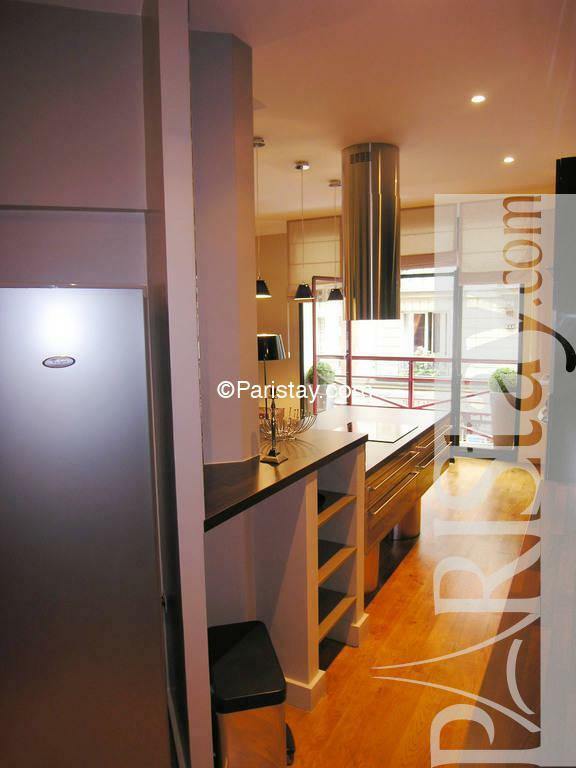 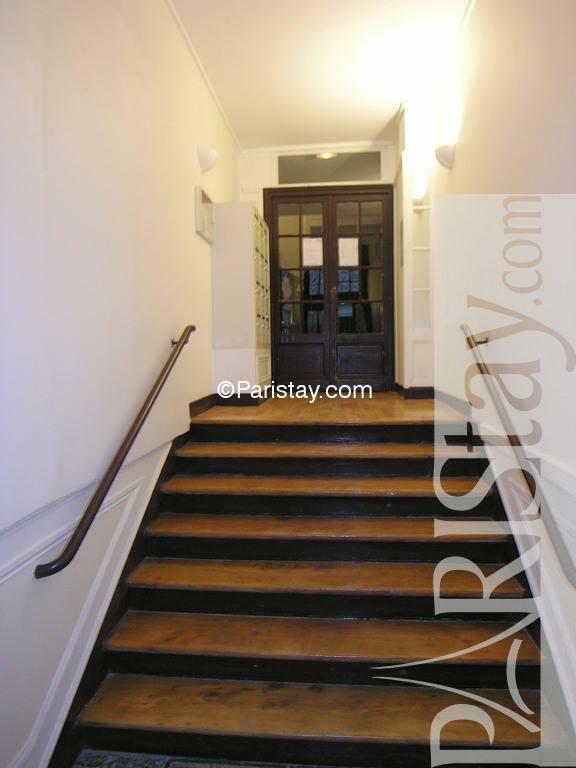 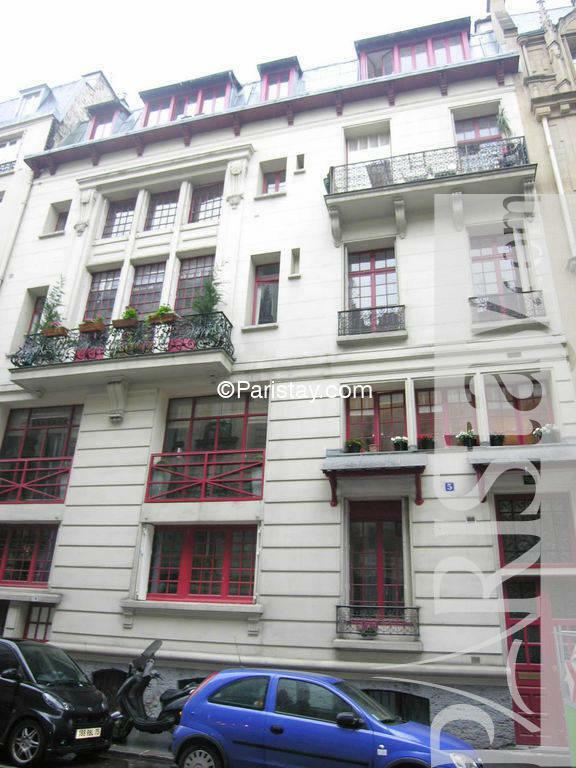 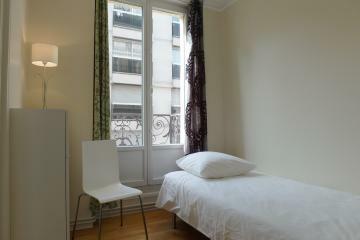 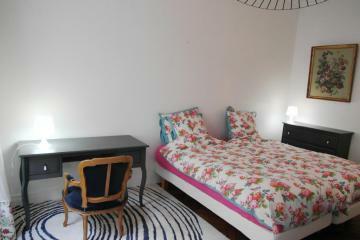 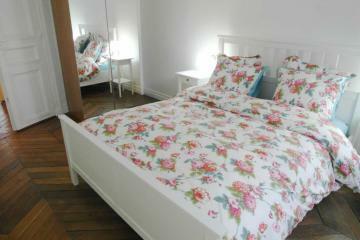 1915's Building, 1 st floor, with Lift, entry code security system, with intercom, 2 bedrooms Appartement, furnished, Approx: 120m² / 1290 Sq.Ft.